This home offers sprawling open floor plan & large kitchen for easy entertaining, walls of windows, stone fireplace in great room, wood stove in LL family room. Three bedrooms one on each level with own bath. 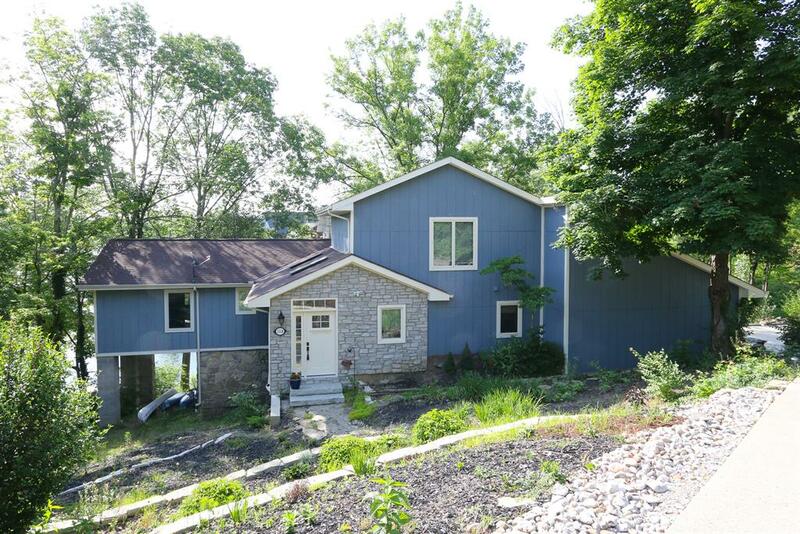 Expansive deck & patios with beautiful view of the main lake & easy walk to your own dock. Large private double lakefront lot.